Brian Dickinson has been a mainstay on the Canadian jazz scene for over thirty-five years. 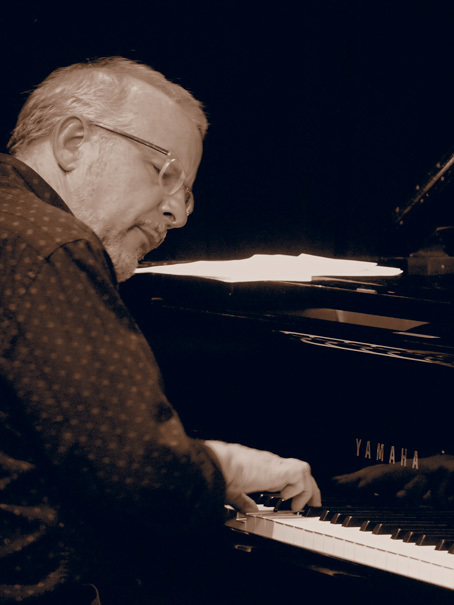 His skills as a jazz pianist, composer and arranger have been heard on well over sixty recordings including eleven of his own releases as leader. A two-time Juno Award winner, Brian has also been nominated for his last two releases. In the fall of 2016, Brian released a quintet recording with a new quintet. “The Rhythm Method” was released on ADDO records and is comprised of Kelly Jefferson and Luis Deniz (saxophones), Neil Swainson (bass) and Ted Warren (drums). The original music from this session will be featured in a new publication also titled “The Rhythm Method”. In the fall of 2017, Brian will release “Music for Jazz Orchestra” on Elan Records. This recording features a three-movement suite, “The Gentle Giant” as well as four other original compositions orchestrated by the composer/pianist. It features the playing of Kelly Jefferson (saxophone), John MacLeod (trumpet), Jim Vivian (bass), Al Kay (trombone) as well as the leader on piano.